1. 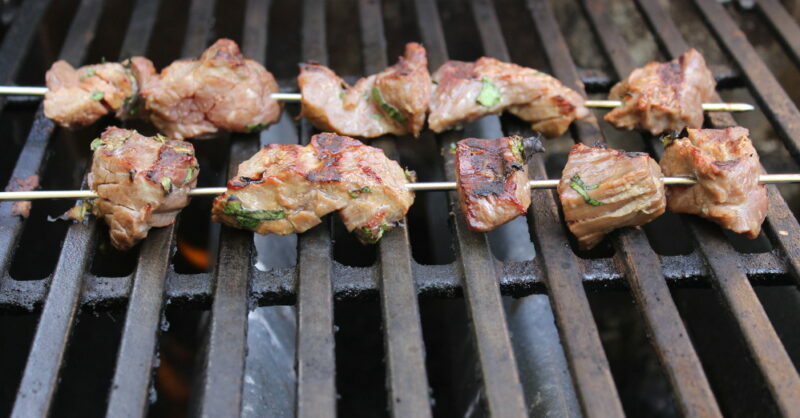 Get situated: Prepare a medium charcoal fire or heat the gas grill to medium-high. 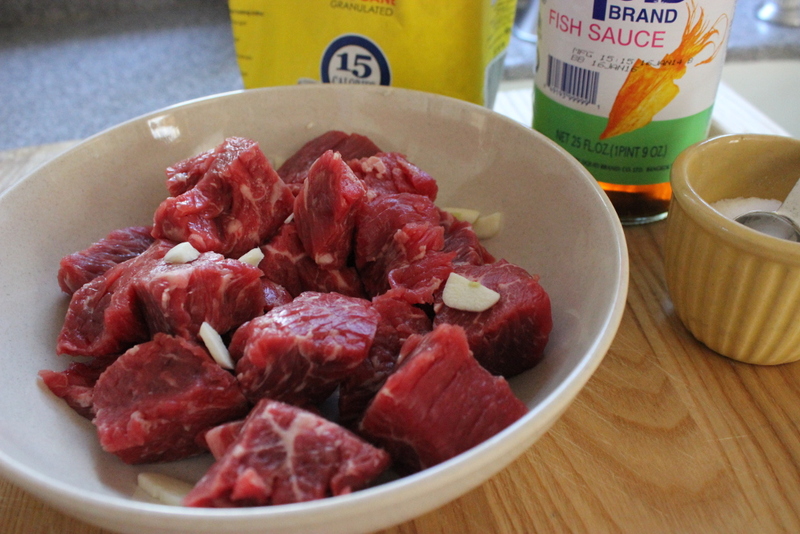 Up to 24 hours ahead, marinate the beef: Cut 1 1/2 lb. 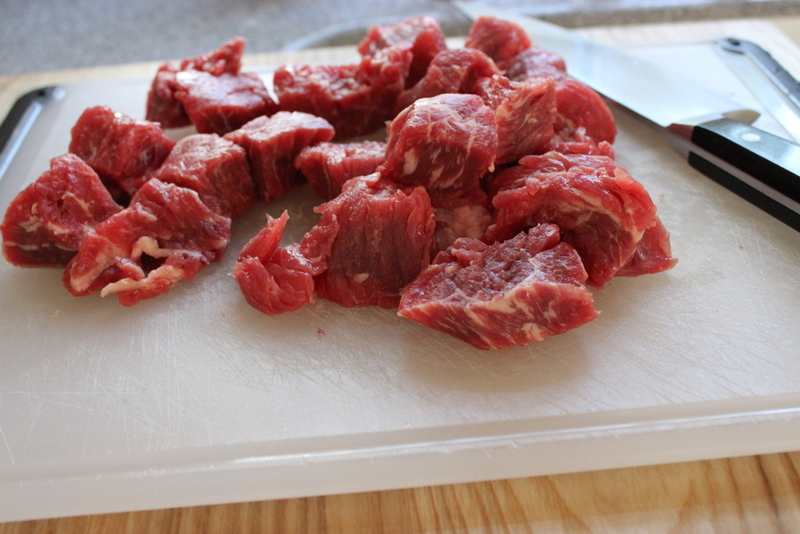 sirloin tips (or “flap meat”) into 1-inch cubes, slicing off and discarding any large pieces of fat. In a medium bowl, whisk 1 Tbs. soy sauce, 1 Tbs. fish sauce, 1 Tbs. sugar, 1/2 tsp. kosher salt, and 1/2 tsp. black pepper. Add the beef and 2 garlic cloves (thinly sliced), toss well, and let sit for 30 min at room temp or refrigerate for up to 24 hours. 2. 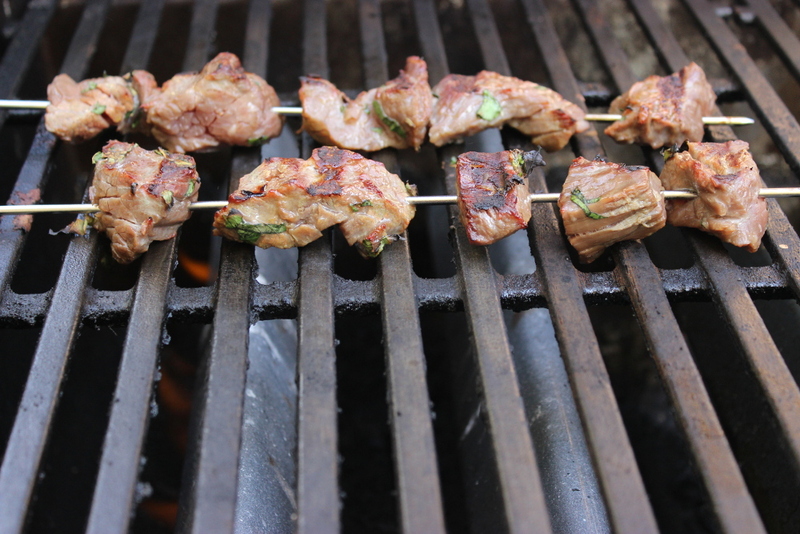 Grill the beef: Thread the beef onto metal skewers and set on the grill. Cook, undisturbed, until the beef easily releases when you lift an edge and browns at the edges, about 2 min. Flip and grill the other side until browned and the beef is medium firm to touch (and your preferred level of pink when you make a nick into a thicker piece), about 2 more minutes. Transfer to a large platter. 3. Assemble the green wraps: Break up 1 head Boston lettuce into individual leaves. Wash and arrange 1 cup fresh cilantro sprigs, 1/2 cup fresh mint leaves, and 1/2 cup Thai basil leaves. 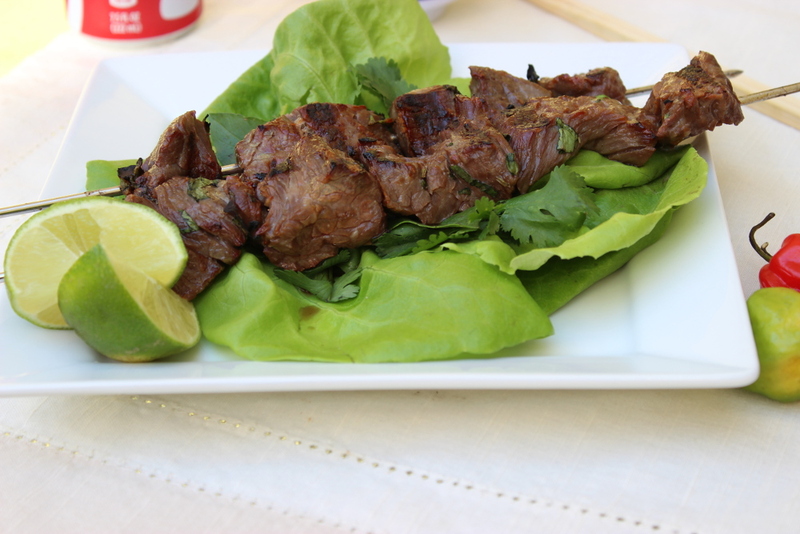 Using one or two leaves, wrap a couple of pieces of beef, some torn herbs, and a squeeze of lime. Serve with Sriracha and steamed rice.